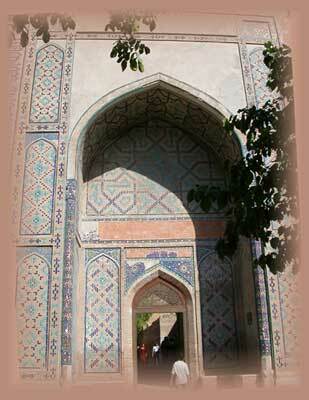 29) Samarkand: The Shakh-i-Zinda Ensemle. Lower group. The main portal (Darvozakhana or the first chartak), 1434-35.